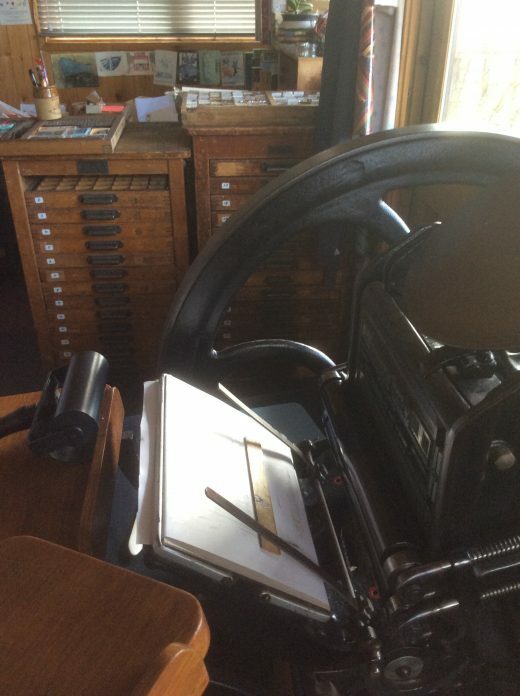 Aspen Press designs and prints a range of letterpress cards and stationery on vintage letterpress machines in their print shop in Orford. Whenever possible they prefer to use paper from English mills who have strong sustainability policies. Traditional movable lead type or magnesium plates are used depending on the application being printed. From design to delivery Aspen Press hand produce small batches of products that are available through their Etsy shop, through a small network of retailers and at selected events. In addition to their range of products, Aspen Press accept commissions for bespoke personalised stationery. Samples of these are available on request. Aspen Press can also be found at various markets throughout the year. Details will be posted on their website from time to time.